Auntie's Bookstore in downtown Spokane was recently sold. At the beginning of this month, a downtown Spokane business landmark got a new owner. Loyal, local shoppers don't need to worry. 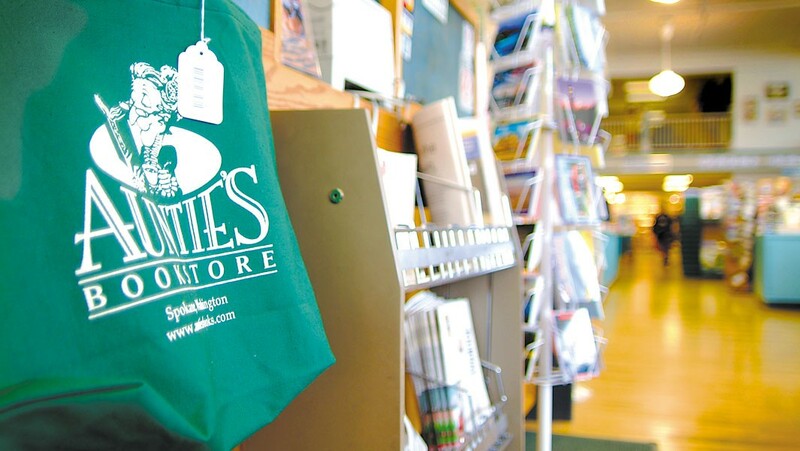 Auntie's Bookstore's new head is Spokane-based, has lasting ties to the business and doesn't plan to make any major changes. The Auntie's we know and love will continue to be. After being owned and operated by Chris O'Harra for nearly 40 years, Auntie's is now helmed by Spokane business owner John Waite, who also owns downtown game and comic shop Merlyn's. O'Harra and business partner Shannon Ahern, who currently owns the Liberty Building where Auntie's is now located, originally opened the store in 1978 as The Book and Game Company. One of Waite's first jobs was working there back in 1983 when it was still located inside the Flour Mill. In 1999, Waite bought the increasingly successful sci-fi/fantasy component of the business, Merlyn's Comics, which he continues to own and operate on West Main Avenue. "We had this ongoing relationship for 40 years of us knowing each other," Waite explains. "So when it got to the point that Chris was ready to pass on the store and find someone to run it, after much deliberation and discussion it was something I thought I could do, and the synergy between [Auntie's and Merlyn's] would be really great." During the transition, Waite says O'Harra will continue to have a relationship with Auntie's. Meanwhile, he plans to evenly split his time between the two shops, and won't make any staffing changes at either store. "People love Auntie's and the staff," he says. "I don't feel like there are any real changes to be made right away," other than some computer system modernization and space reconfiguration. In the long term, Waite hopes to increase the number of notable, regional authors coming to the store, and to host more interactive, creative arts events there. "I've always been a big fan of stores being centers where people can meet socially and have culture and community things," Waite says. "Auntie's is a store that is iconic to Spokane, along with Merlyn's, and it's been around for 40 years. My goal is to make it sustainable so it'll be here for another 40 years as a piece of the community."